Any and all foreigners- иностранцы (inastrantsee) who have ever studied Russian would agree that this language – язык (yazeek), spoken by nearly 170 million people, is not only beautiful, but also remarkable for its sound – звучание (zvoochaniye), and its alphabet – алфавит (alfavit). But where does it come from? CREF offers a look back in time to its origins. As is often the case, the language predates its writing system, with each Slavic group – славянский народ (slaviyanski naroad) having its own dialect – диалект (dialekt). The first Cyrillic alphabet was invented in about 860 AD, or a little more than a century before the Christianization of Russia. It was the work of two saints, Cyril and Methodius – Кирилл и Мефодий (Kiril i Méfodi), two brothers – братья (bratia), from the city of Thessaloniki, at the time a part of the Byzantine Empire, and where, along with Greek, a Southern Slavic dialect was also spoken. Cyril was sent to Moravia (a historical country making up the eastern part of today’s Czech Republic) to work as an Orthodox missionary and to teach – учить (oucheet) the Scriptures to the Slavs. To achieve this, he and his brother, along with their students, translated the holy books – богослужебные книги (bagaslouzhebnye knighee) into an alphabet inspired by Greek. In order to accomplish this, he felt it necessary to build an abecedary– азбука (azbouka). 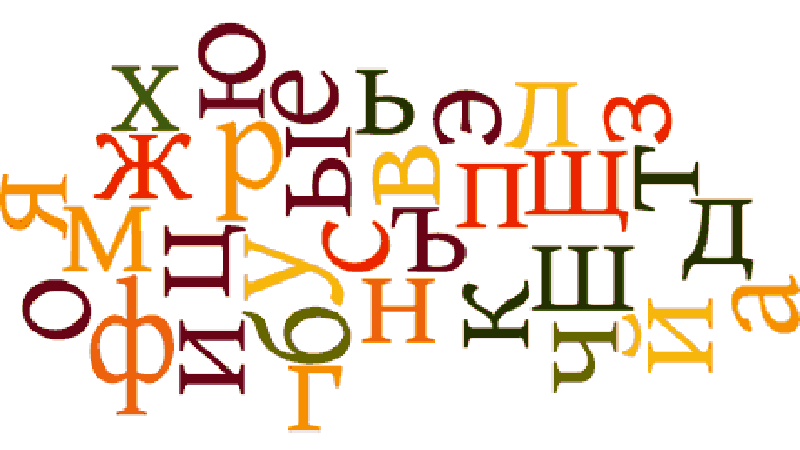 Each letter – буква (bookva) of the Russian alphabet corresponds to a word – слово (slova). Thus, the first three letters – А Б and В – correspond to “Aзъ Буки Веди “, which means “я буквы знаю” (Ya boukvi znayou) – “I know letters” – in Modern Russian. The entire alphabet is a sort of tribute to learning – учение (oucheniye), knowledge – знание (znaniye), reason – разум (raazum) and the Lord – Господь (Gaspoadh). Following the Christianization of Russia in 988/989 AD under Vladimir, the Russian Church acted as the principal medium for the spread – распространение (rasprastraneyniye) of the alphabet. Much later, the Russian alphabet would twice undergo reforms – реформы (reformiy). You will be glad to know that these reforms greatly simplified the script of this beautiful language! The first great period of reform, and undoubtedly the most radical, was the one undertaken under Peter the Great – Пëтр Великий (Piyotr Veleeki), in 1708. Letters that were judged to be unnecessary – бесполезные (bispaleyzniyé), were removed from the script; the shape of certain letters was modified in order to bring them closer in appearance to those found in the Latin alphabet. Nevertheless, within two years, a few of the letters were added back in and the new alphabet was finally adopted in 1710. It was christened “grazhdanitsa” – гражданица, a word meaning “citizen” – гражданин (grazhdaneen), so as to differentiate it from Church script, which would not be altered. One interesting fact: in 1783, what was previously written as “ıo” was changed to “ë” (say very quickly “yo”) following a push by princess Dachkova, founder of the Imperial Academy of Russian and a confidante of Empress Catherine II. The reform of December 1918 would go a step further in terms of script simplification – упрощение (ouprashsheyniyé). A decree – указ (ookaz) was issued for the adoption of the new script in all printed books; it was signed by a man, Lunacharsky, responsible for preserving a large part of Russia’s heritage – достояние (dastayayniye) following the Bolshevik Revolution. The reform’s contents, however, were actually from an earlier period, having been formulated in 1904 and having already been adopted as early as 1911 by the Tsarist regime and the Academy of Sciences – Академия Nаук (Académia Naouk), under the stewardship of a certain Chakhmatov. The hard sign “ъ” – твëрдый знак (tviordy znaak), was omitted, having previously been mandatory after certain consonants – согласные (saglasnie) to indicate pronunciation – произношение (pra-iznasheyniye). Nowadays one proceeds based on inference, depending on, for example, the vowel – гласный (glasniy) that follows. The sign is still used today by some companies to add a bit of “vintage” appeal to their brand. This was, for example, done when revamping the French restaurant Yar – Яръ; despite its now being superfluous, the hard sign was added back in as had been the case before 1918. Then there is a sign that is not part of the alphabet, but which, nevertheless, plays a decisive role: the stress – ударение (oodareyniye). Paradoxically, it is almost never indicated because Russian speakers – русскоязычные люди (rooskayaziychny lyoudee) know where it’s located, or think they know, because in reality, many get it wrong. There’s even a game – игра (igra), where one has to guess where the stress is in a word. Word stress directly influences vowel pronunciation. Russian schoolchildren commonly misspell the word “dog”. They usually write it as they hear it: сабака, but the correct spelling is собака (sabaka). This is a good example of how the “o” in Russian is pronounced when it is not stressed. It is even said that the further away the “o” is, the subtler the sound it makes, because as it moves further away from the stressed vowel, the greater the decrease in its intensity: in the word milk – молоко (malako), the first “o” is pronounced almost like the “e” in “Mercedes”. Linguists say that the sound it makes here is closer to the “ы” in Russian. At CREF, we attach great importance to oral expression – устная речь (oustnaya raych), which is why we decided to forego using the International Phonetic Alphabet (IPA) for transcription purposes. The IPA uses special characters such as “č” or “š” that would need to be learnt in order to understand the script. We felt that it was important and easier to use the letters found in English in order to facilitate reading and oral comprehension, while making sure that one is as close as possible to authentic Russian pronunciation.